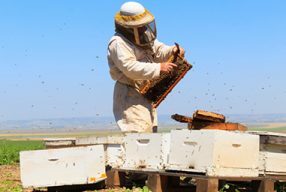 All beekeepers may at some time have their records examined by the Bee Biosecurity Officer or other authorised person to verify their self-certification and beekeepers are required to cooperate with the assessment and make their records available. 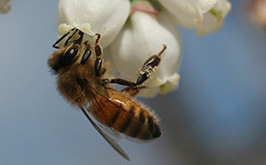 An examination will include a review of the beekeeper’s records and may include one or more on-site visits to inspect individual hives, appliances or equipment. These assessments will focus on beekeepers in charge of 50 or more hives but the requirement to make records available applies to ALL beekeepers and smaller beekeepers may be inspected if a serious breach of the Code is suspected. The purpose of assessing beekeepers’ operations is not to punish them for bad practice but to ensure that the Code of Practice is being met. 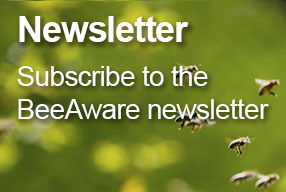 In this way, areas in which compliance to the Code is lacking can be identified and the ways in which beekeepers can be assisted in bringing their operation up to the Code’s requirements. There will be no cost to the beekeeper for the initial assessment but if the assessor determines that the beekeeper is not in compliance with the Code, the beekeeper may be given the opportunity to rectify the failing within a specified period of time and the beekeeper will be responsible for any costs associated with re-inspection of the operation to verify compliance with the Code. The majority of beekeepers will already be complying with the Code and the assessment of records is merely to provide assistance in the few areas where they may not be. 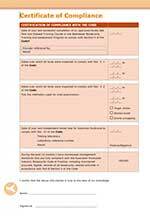 (a) Comply with all reasonable requests from the Assessor for access to the beekeepers records and provide any additional information. 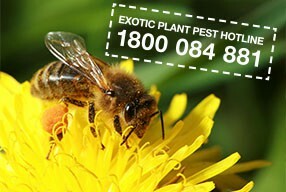 (b) Comply with all reasonable requests from the Assessor to inspect the beekeepers hives and appliances. 8.2 The beekeeper will be liable for the reasonable costs of any re-assessment to verify rectification of any non-compliance with the Code identified by the Assessor.